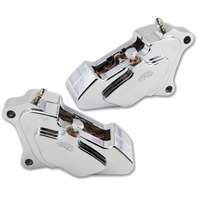 Harley Bagger Chrome Anodized Billet Aluminum 4-Piston Front Brake Caliper Package. 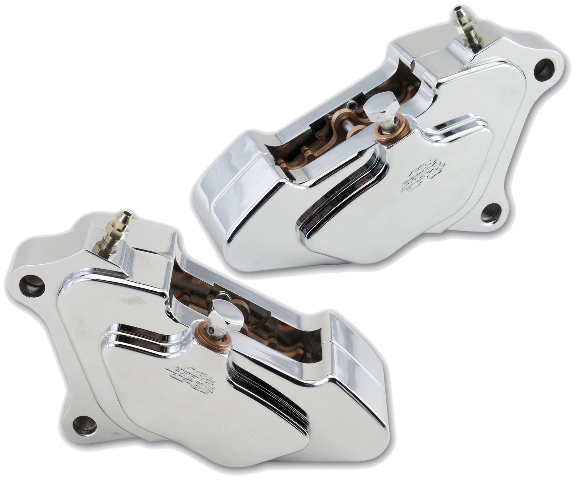 These Brand New Calipers Bolt Directly To The Front Fork Leg Mounts. Machined From Solid Blocks Of 6061-T6 Billet Aluminum.